Status at time of photo - preserved but no discernible color change as specimen was captured only a few days earlier. 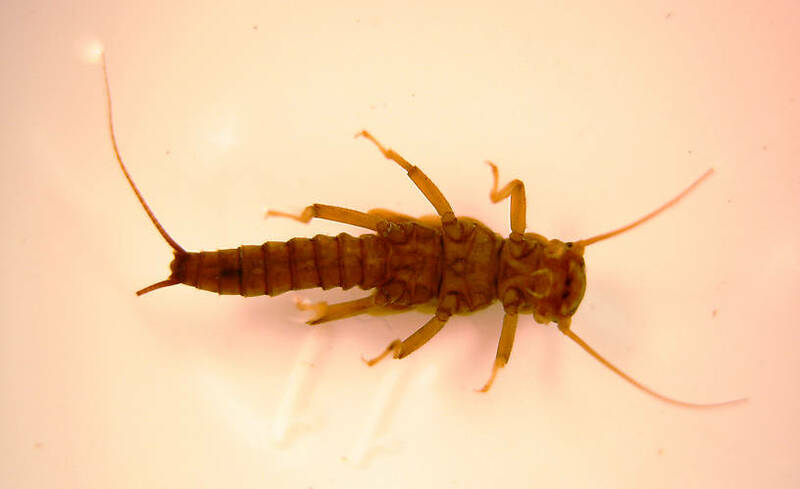 This species is very common in west slope north Sierra watersheds. Richard W. Baumann & Boris C. Kondratieff did a study on the same section and at the same time of year (APRIL 25-29, 2010) where this specimen was taken. No other species of Isoperla were reported from this location and quinquepunctata was very abundant. Their hatches can be very heavy some Springs. 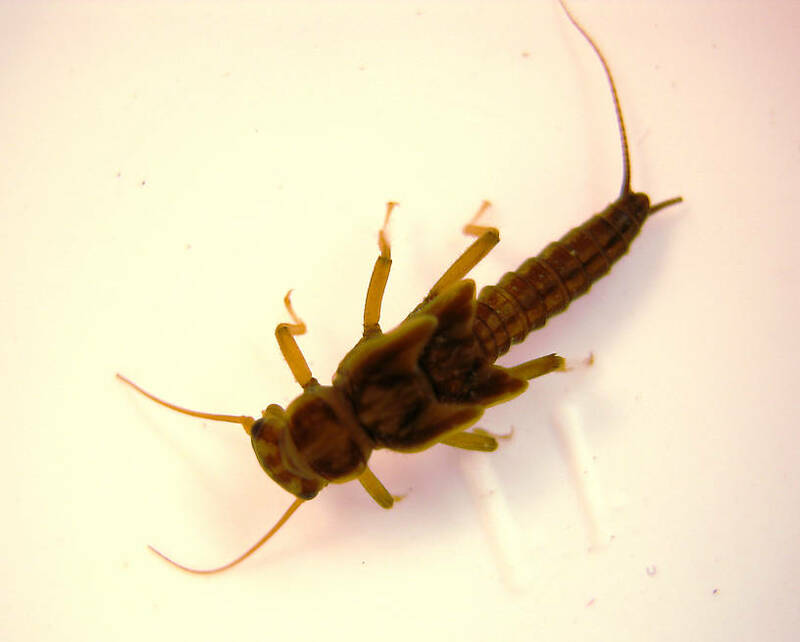 This stonefly was collected from the Lower Yuba River on March 21st, 2011 and added to Troutnut.com on November 1st, 2011. Medial: Toward the middle of the body. Terga: the dorsal part of an abdominal segment or segments (terga). Also used to describe the entire abdominal dorsum or the thoracic dorsal segments of Odonata. Thorax: The thorax is the middle part of an insect's body, in between the abdomen and the head, and to which the legs and wings are attached.